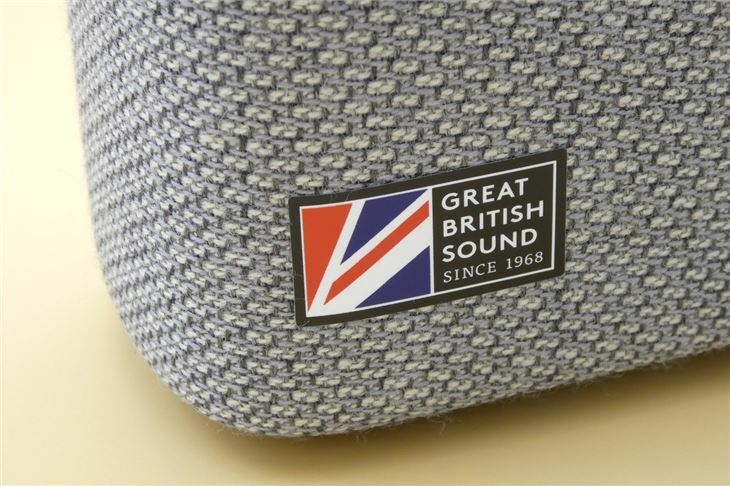 The YOYO (S), which stands for small, is a compact, wool-covered speaker from British brand Cambridge Audio. 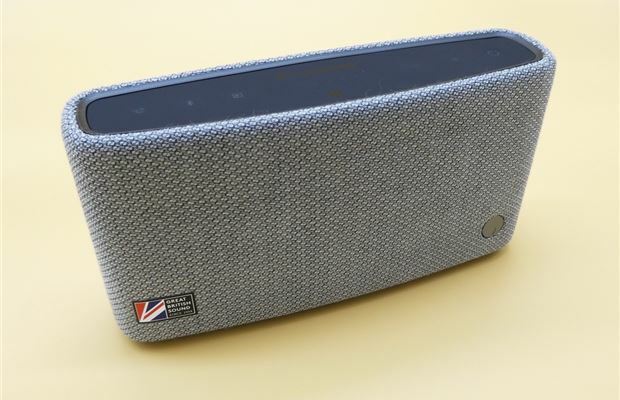 Designed and engineered in London, the portable speaker features two full range drivers, a subwoofer and a passive bass radiator to create a very impressive sound for such a small device. It isn't the best sounding speaker on the market, with smaller speakers of the same price offering slightly richer sound and a punchier mid-range. 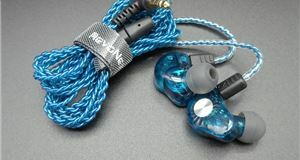 But, the mid-priced YOYO has a classier look about it, so we understand the appeal over more recognisable audio brands. 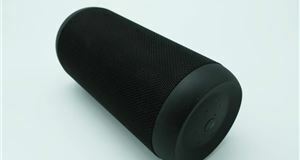 The speaker comes in dark grey, light grey, blue and green. We personally think the more mature, grey options fit very well into most environments; our light grey speaker looks very much at home both in the Honest John office and at our house. 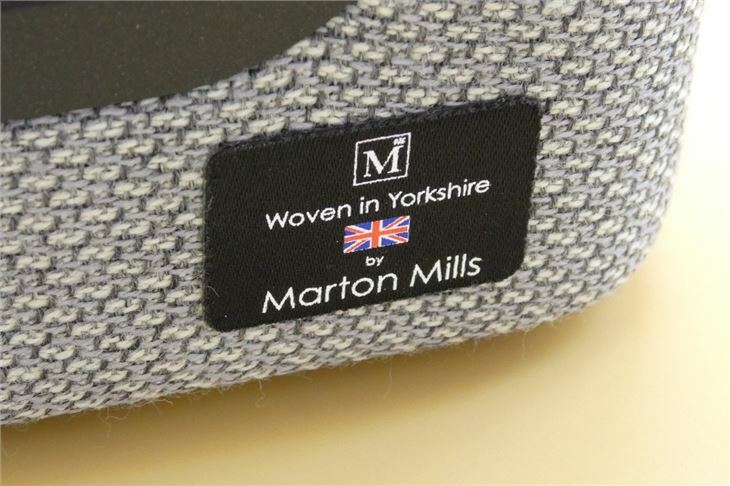 Cambridge Audio proudly sport the idea that their audio equipment features a 'British Sound' and, in wanting to extend that to the speaker's exterior, the birdseye wool jacket of the YOYO is made by Yorkshire weavers, Marton Mills, who have been crafting fabrics since 1931. The wool is worsted, which means all the fibres run in the same direction (for all of the readers who aren't wool connoisseurs), and it doesn't hinder the sound at all. It's also treated to repel debris, water and wear and tear. The wool cover gives the YOYO (S) a classier look than most similarly sized and priced speakers, which means we're slightly forgiving on the sound - which, although very good, isn't as up to scratch with products from manufacturers like Bose. Although the YOYO is considered a small, portable speaker - it's more of a mid-sized unit, weighing in at 1.2kg. But it's slightly bigger proportions means it houses more features than your average Bluetooth speaker. Speaking of which, connecting to the YOYO can be done via NFC (as long as your device supports NFC) - device supports NFC, simply tap it against the NFC logo on the top panel to connect. 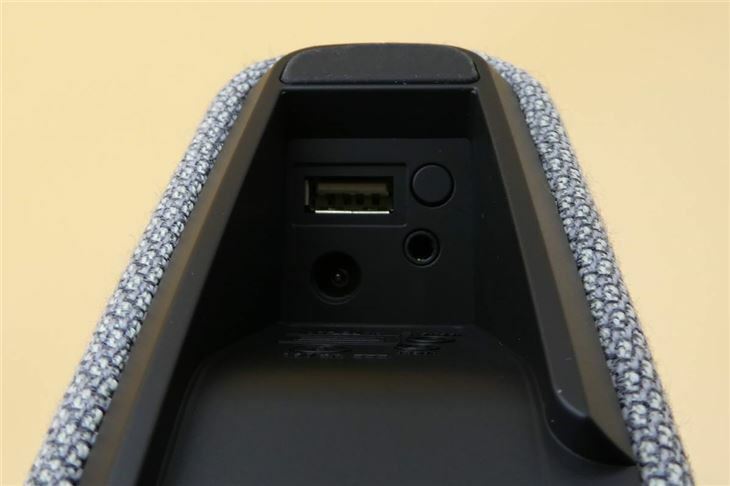 There's also an aux cable port for wired charging with the supplied 3.5mm cable, and a USB port that can charge your devices - like a smartphone. Battery life is an impressive 14 hours, which obviously goes down if you're using the speaker to charge up your smartphone, tablet or the like. Battery level can be checked by pushing a button on the rubber top of the speaker, with the lights indicating the level of power left. The bottom of the YOYO (S) is made of plastic with rubber feet to stop it sliding about. An impressive feature to mention is gesture controls. 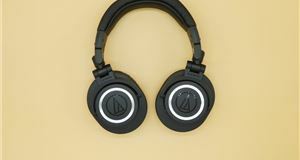 As well as having buttons for the usual volume and power controls, swiping your hand across the top can be used to change tracks, which is a useful addition if, like us, you want to change a song while doing the washing up, but don't fancy getting your speaker or smartphone wet. Moving your hand back across the control panel will pause the playing song, although we did find we accidentally used these gesture controls when just picking up the YOYO while music was playing. 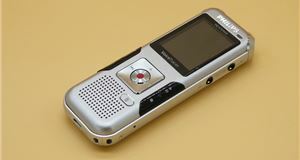 A built-in microphone means the speaker can be used as a speakerphone to make and receive calls, too. 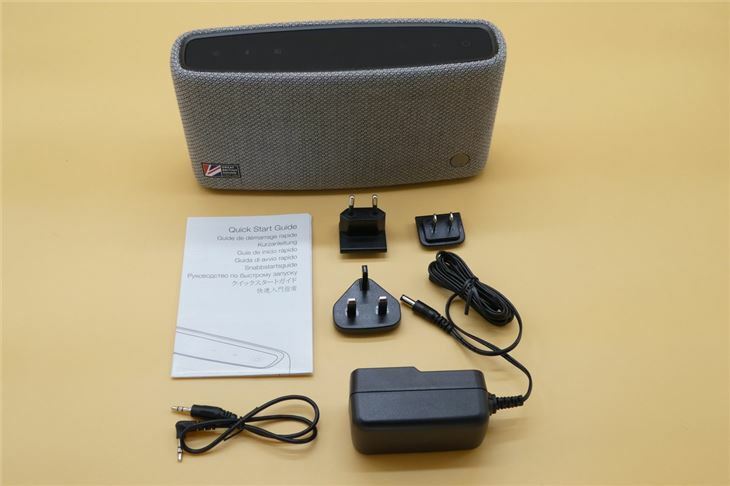 UK, EU and US plug adaptors are included so you and your speaker can go on your holiday with you, although, we'd suggest the YOYO (S) is more suitable as a portable speaker to be carried from room to room in your house, or room to garden, rather than to be packed into a backpack or suitcase. The speaker offers three drivers, rather than the usual two you'd find on most mid-range models - with the two full-range drivers on the left and right of the unit and the subwoofer and passive bass radiator sitting in the middle. While the bass isn't the best we've heard, there's a lot less distortion than there is in smaller speakers simply because the YOYO's larger drivers can deal with high volume better. If you want a speaker that'll soundtrack a BBQ outside with the noise of chatter and kids to contend with, this is a good pick. Mid-range is a little bit soft, with vocals sounding a bit caught up in the mix, but this is likely an attempt by Cambridge Audio to stop the vocals feeling too pushed - which is what happens with smaller speakers, resulting in a tinny sound. Overall, the YOYO (S) delivers a melodious, well-balanced sound. 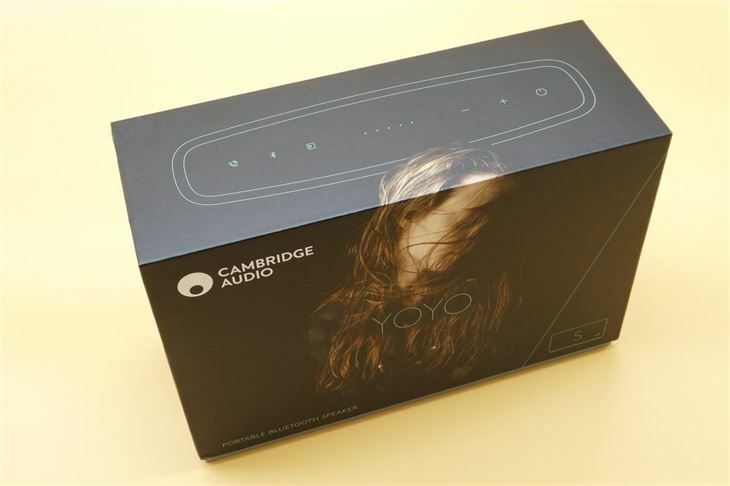 We like the fabric-jacket look of the Cambridge Audio YOYO (S), which is one of the main reasons you'd pay for this speaker over the many, many other mid-range, plain black speaker offerings on the market. If you're looking for a more stylish option, this fits the bill well. The looks also make us more forgiving about the sound quality in comparison to other units of the same size. It isn't quite as small as other 'portable' speakers, which means you get more features packed in, but if you're looking for a light speaker to chuck in a rucksack for a day out - this isn't it. 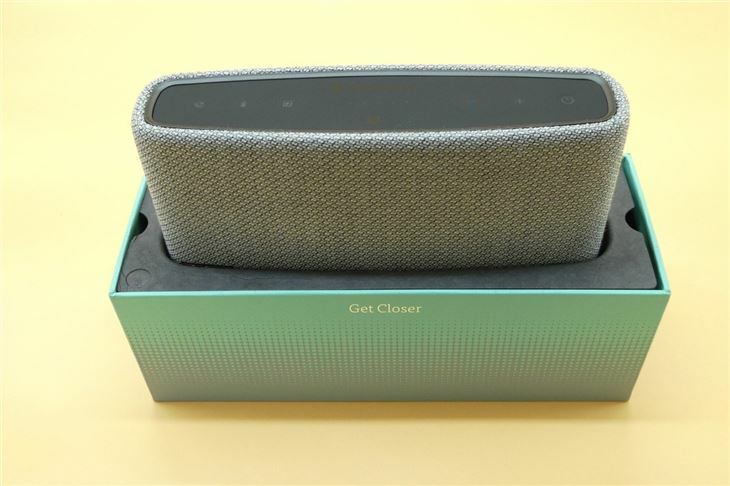 However, if you're after a wireless speaker with lots of well-designed touches and decent sound quality - the YOYO (S) is definitely worth considering.